TVS Motor has reintroduced the popular Victor brand in a bid to increase its market share in the commuter space, as the Victor was hugely popular over a decade ago. It was the first motorcycle TVS Motor had developed individually post its split with Suzuki, and it had helped the manufacturer gain critical acclaim as an indigenous motorcycle maker. The new Victor is an all-new motorcycle powered by a refined 110cc motor that also powers the Star City+, though the engine makes 9.6PS in this guise. The Victor’s competitors include the best-selling Hero Splendor Pro and Passion Pro, as also the Honda Dream series and Livo. The TVS Victor is the most premium commuter motorcycle offering from the Hosur based manufcaturer. The TVS Victor was among the most popular motorcycles in its portfolio but was shelved as sales plummeted. But in 2016, the Victor was launched again to make a mark in the highly competitive commuter segment. First up was the styling and the new Victor does look similar to the Star City+ but gets a larger muffler, headlight and tank to set it apart. The biggest change is the new 3-valve, 110cc engine delivering 9.6PS and 9.4Nm of peak torque. The TVS Victor carries a price tag of Rs 53,925 ex-showroom Delhi for the base version. Mileage is a vital aspect for a commuter buyer and the Victor delivers around 67kmpl in real word condition which is noteworthy. 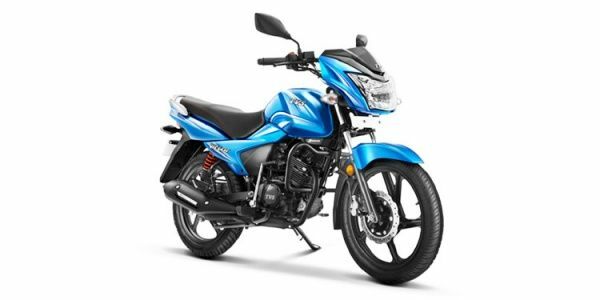 TVS has also equipped the new 110cc motorcycle with a semi-digital display, eco and power mode indicators, optional disc brake and powerful 55W headlamp. The Victor fits the bill of a modern commuter motorcycle with its refined motor, good list of features and affordable pricing. TVS Victor prices start at Rs. 54,542 (Ex-Showroom) and the top end variant TVS Victor Premium Edition is priced at Rs. 57,522 (Ex-Showroom). TVS Victor is available in 3 variants and 9 colours. Share your experiences with Victor? The claimed ARAI mileage for the TVS Victor petrol is 72 kmpl. Smoother, more refined, and more comfortable to ride too, the resurrected TVS Victor's competitive pricing should help it gain the attention of buyers in the segment as it is a competent product for someone wanting a well-built, comfortable and efficient commuter motorcycle. Adapting to the Victor didn’t go well initially, but did it grow on me? The TVS Victor is my second long-term bike after the Honda Navi. But is the shift from the Navi to the Victor an upgrade? Let’s find out.